A successful repainting job calls for proper surface preparation. Here, our paint expert weighed in on the essential steps in surface preparation for repainting wooden surfaces. First, check the condition of the old paint on the wood. 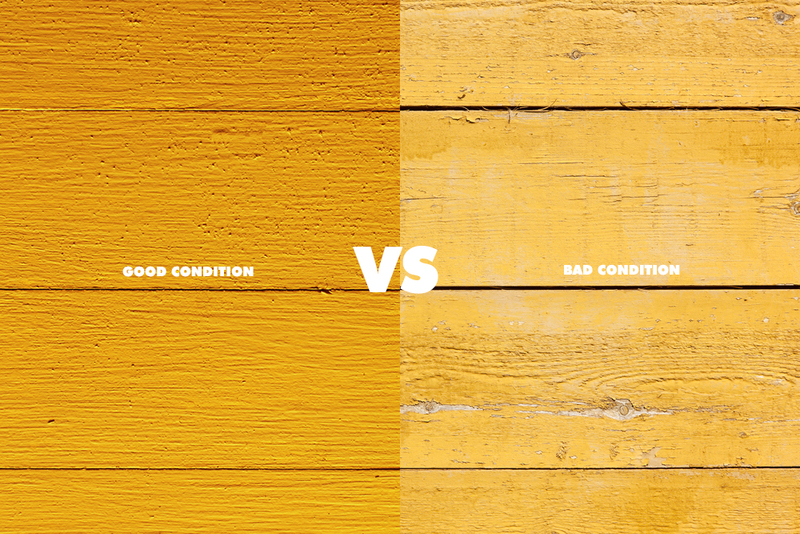 You can tell if the old paint is still in good condition if the paint film still adheres to the wooden surface. If that’s the case, sand lightly the surface and dust off the sanding particles. Since you’re retaining the old paint, make sure that the new paint that you will use is compatible with the old one. For example, if you used an oil-based paint before, then you should repaint with an oil-based paint. Using incompatible paints will create a reaction that will prevent the paint from sticking to the surface, which could later cause peeling. Also, avoid using water-based paints as top coat on surfaces that get a lot of foot traffic or get touched a lot. When in doubt, scrape the paint film down to bare wood. If the paint is loose, cracking, and peeling, then you must eliminate any trace of paint using a scraping tool. Then, sand it down to have an even yet coarse surface that will help the paint to cling to the surface. Lastly, wipe dust or dirt particles completely with a damp clean rug. WARNING: Be careful when sanding old paint that is suspected to contain lead. Visit this website to know more about how to safely remove lead-based paint. FYI, Boysen has been manufacturing lead-free paint since 2007, long before a regulation on lead-free paint was introduced. When the surface is clean and dry, you can finally repaint! You can use our Choose Your Paint tool so you can get a paint recommendation that suits your painting needs. Once you get your hands on the paint products and painting tools you need, start by applying the primer on bare surfaces. Next, cover hairline cracks and minor surface imperfections with putty. Then, apply the topcoat. If you have any technical questions or clarifications, send us an email ask@myboysen.com or call this number (02) 363-9738 local 417 to 418 during office hours and talk to our Technical Team.